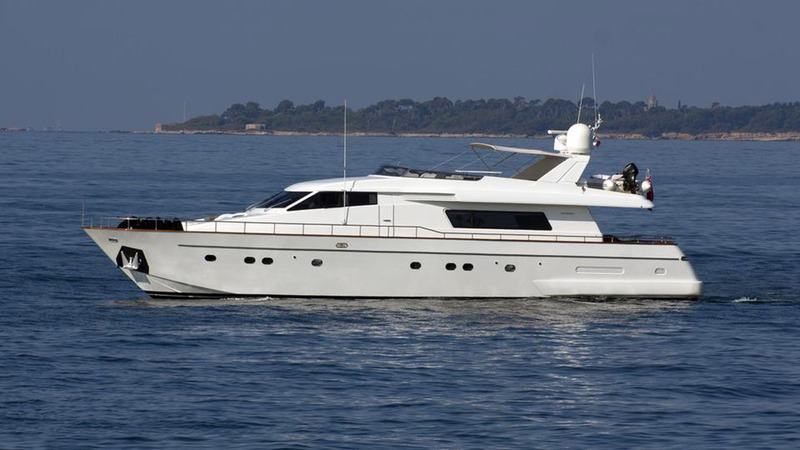 Motor yacht SOLAL was built by well renowned San Lorenzo in 2000 and refitted in 2007/2016; the yacht measures 23,6 meters (77.5ft) in length and can accommodate 8 guests in 4 comfortable cabins. 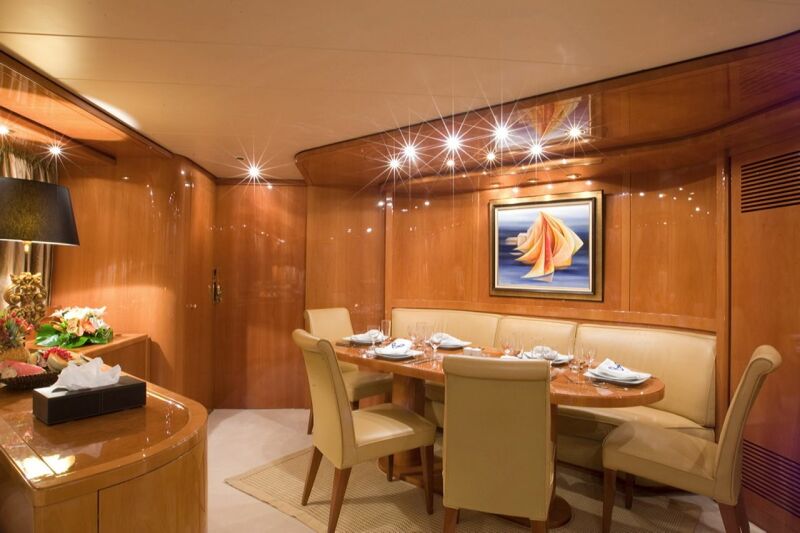 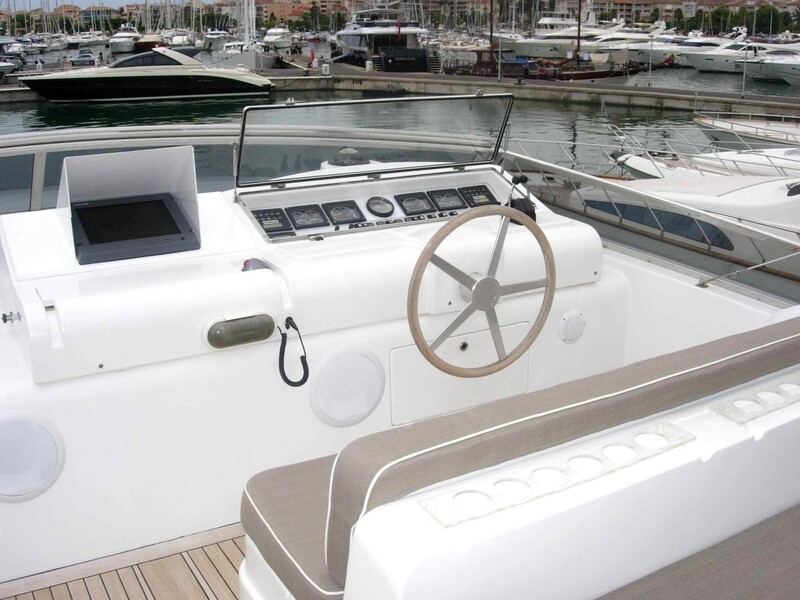 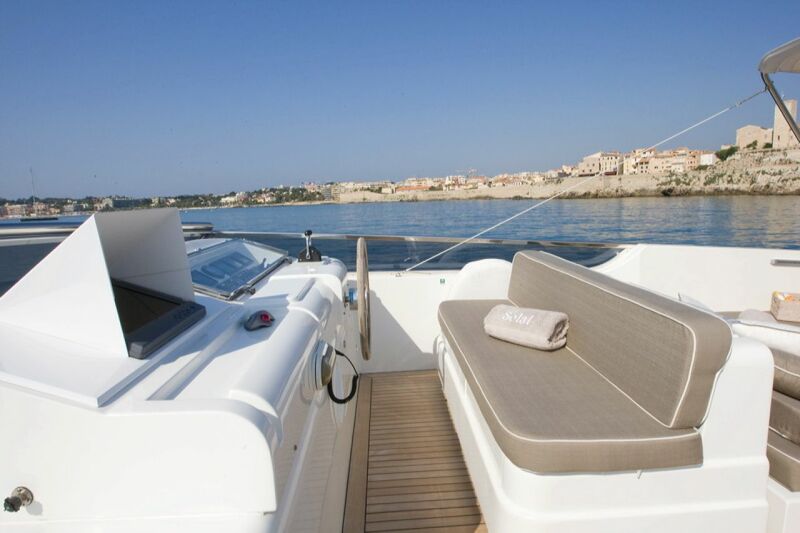 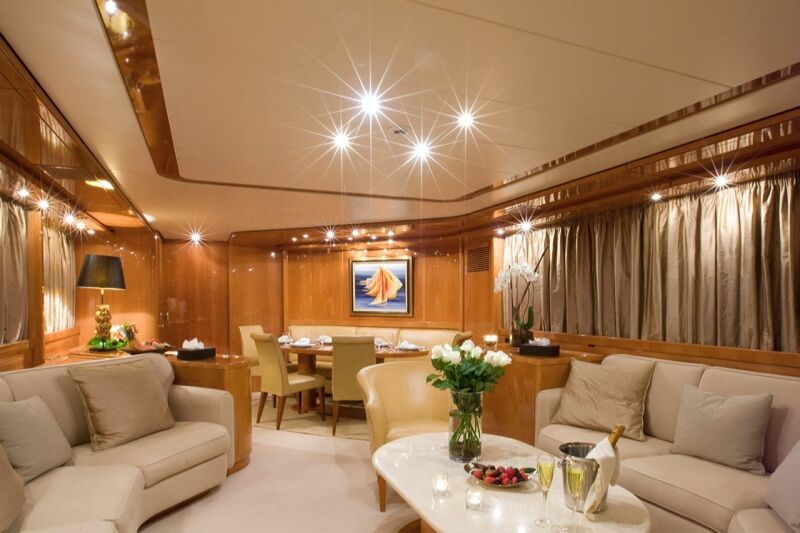 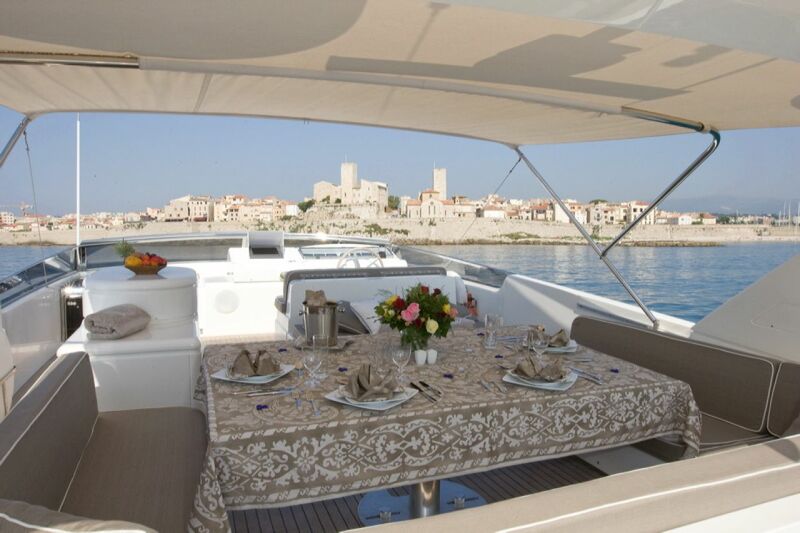 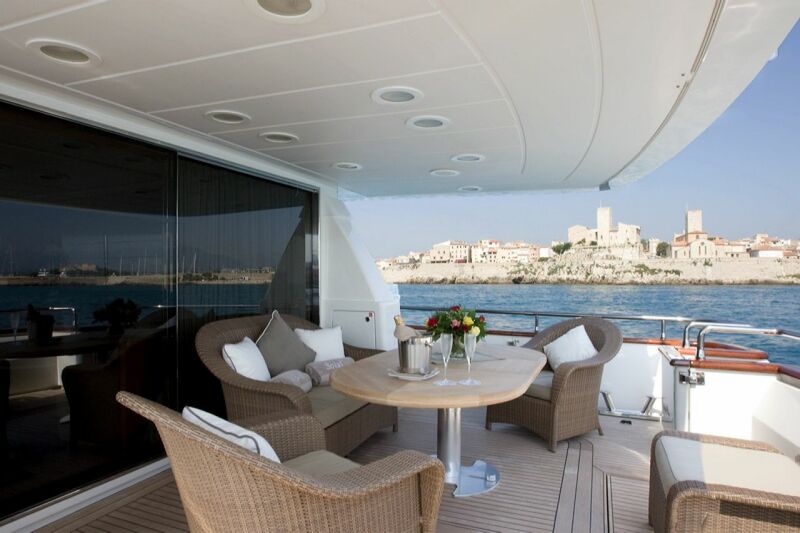 M/Y SOLAL has a contemporary interior with gorgeous high gloss honey oak throughout. 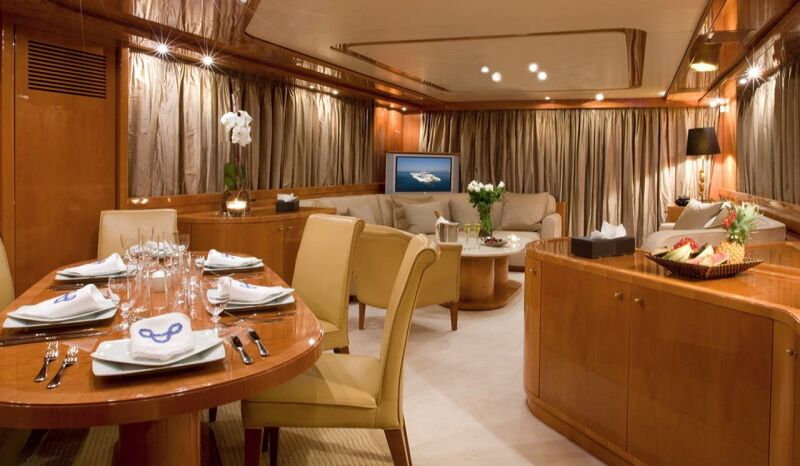 The salon and dining are an open plan with the salon aft and the dining forward, the salon features 2 cream sofas on both sides and coffee/cocktail table, the formal dining table is forward with cream leather high back chairs. 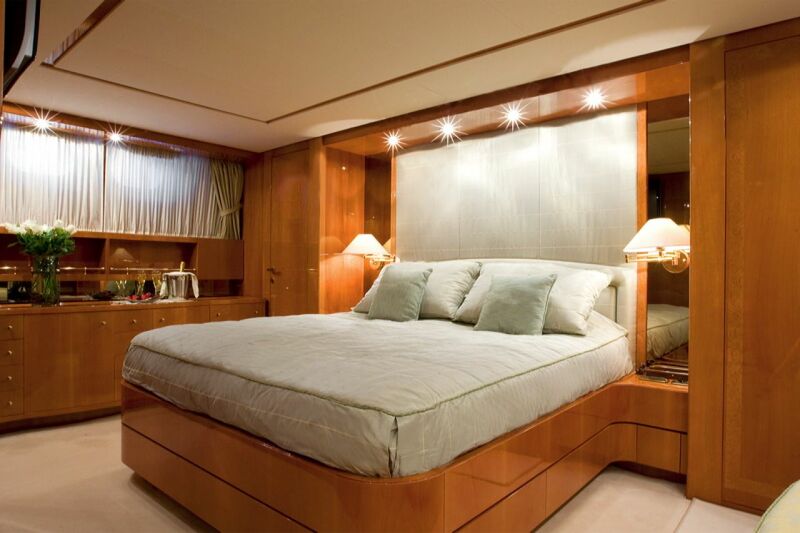 The entire space receives ample natural light through large windows on each side. 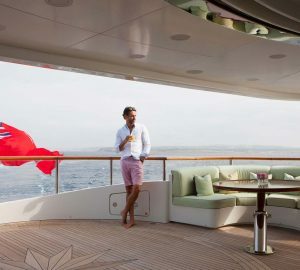 Charter yacht SOLAL offers plenty of external deck area, the aft deck is shaded and offers an alfresco dining option with relaxing cushioned wicker seating, the decks continue forward on both sides of the yacht. 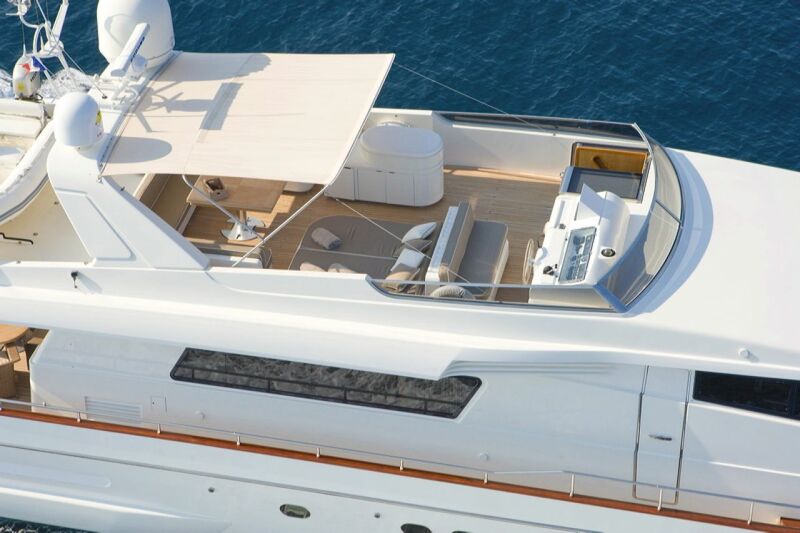 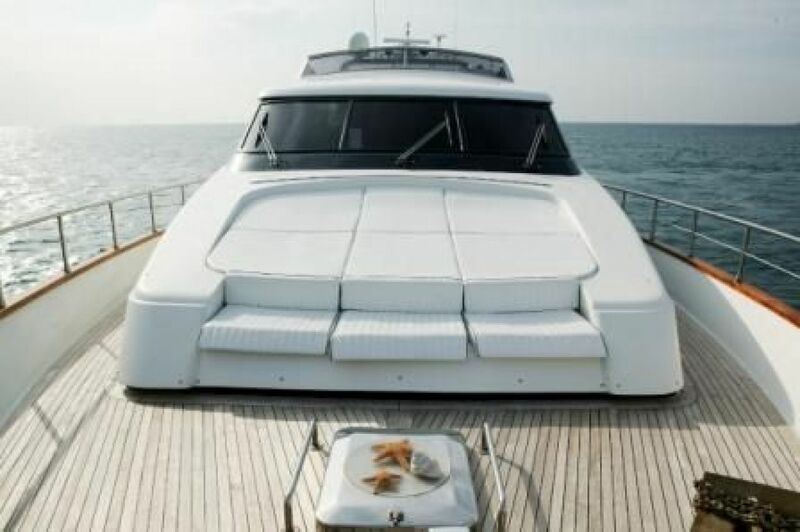 Above decks the fly bridge features an alfresco dining option, large sunpad and removable Bimini creating a multi-functional space. 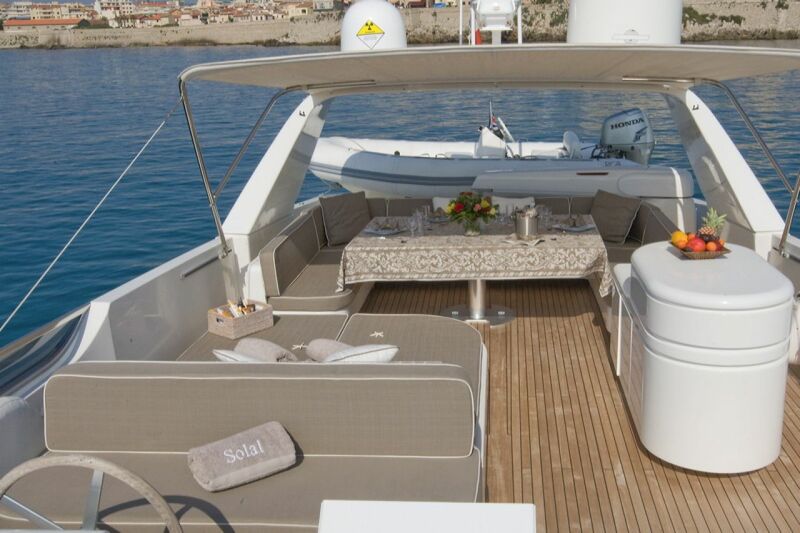 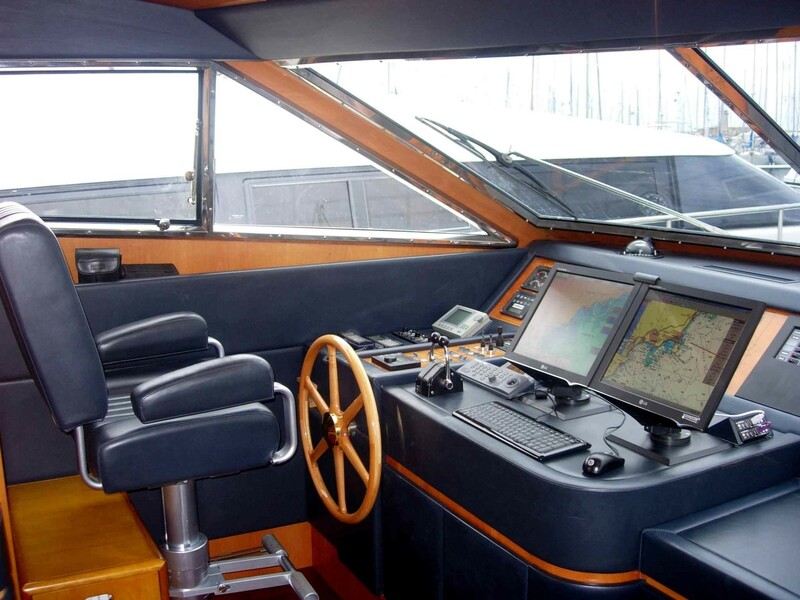 Motor Yacht SOLAL cruises at speeds of 22 knots with maximum speeds of 28 knots. 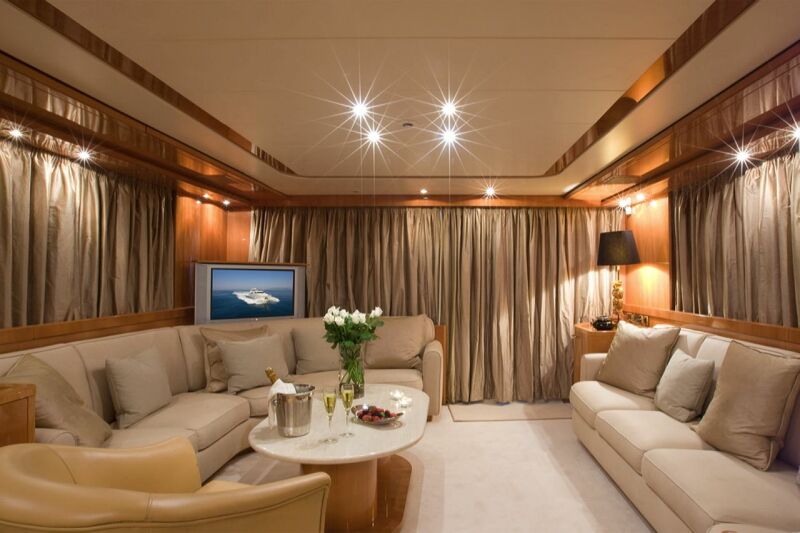 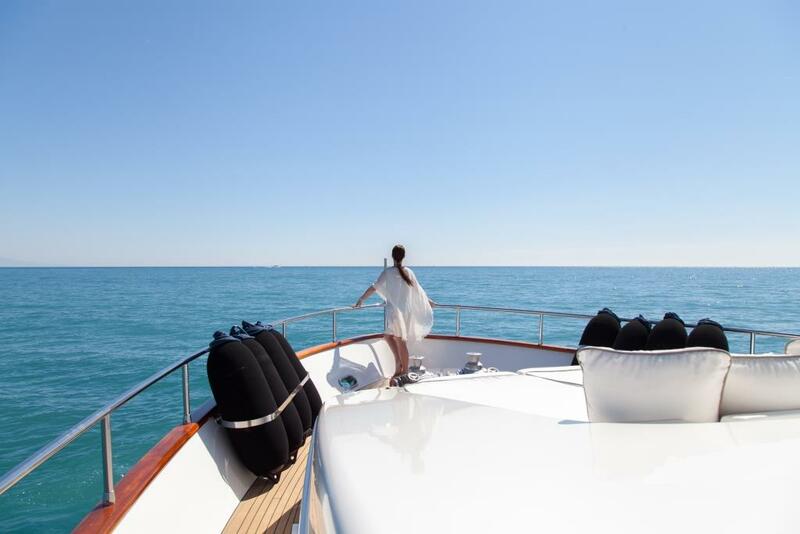 Luxury charter yacht SOLAL offers accommodation for up to 8 guests in 4 cabins, the master suite is amidships and full beam of the yacht with walk in wardrobe and his and hers facilities which is adjoined by a shower room. 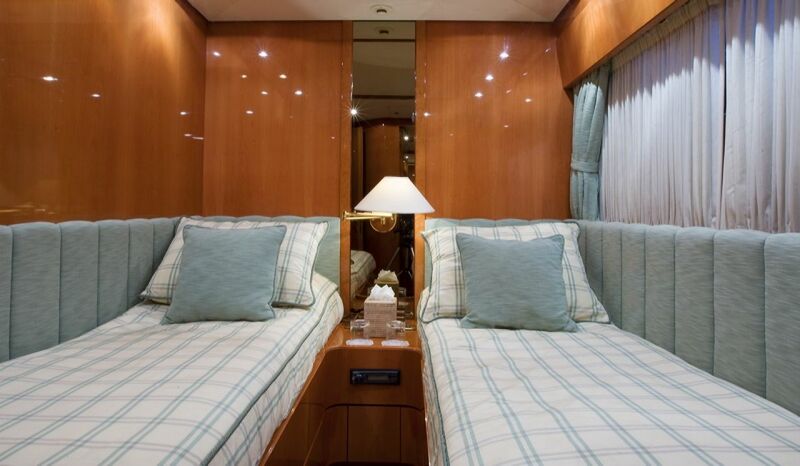 The VIP stateroom features a double bed and en-suite facilities. 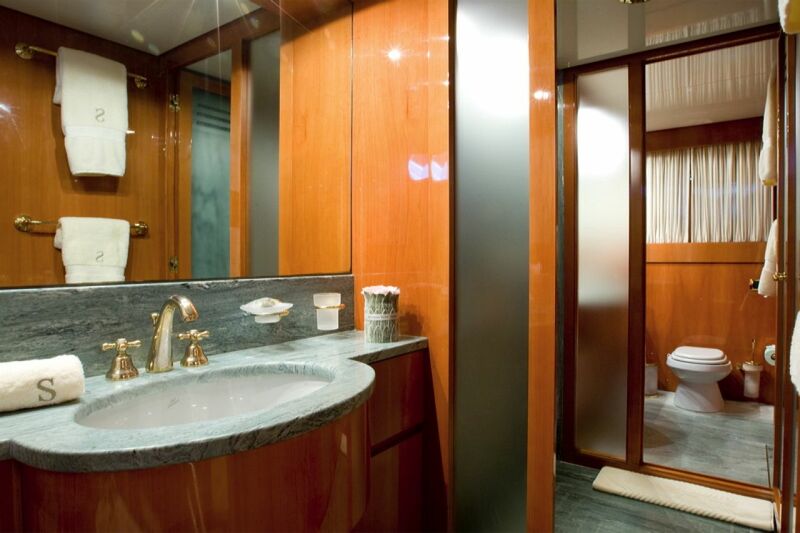 A further 2 twin cabins with en-suite facilities are located forward.